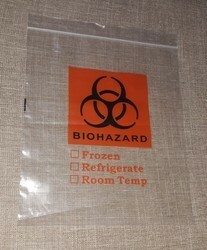 Offering you a complete choice of products which include printed zip lock bag., slider zip printed bag, zip seal bag. 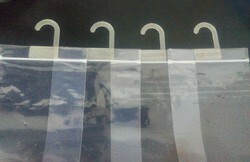 and hanger zip lock bags..
Clients can avail from us a wide assortment of Self Lock Bag. These self-lock bags are designed by using quality basic material and updated technology under the keen observation of capable experts. To meet the miscellaneous needs of our honoured clients, these self-lock bags are accessible in a number of sizes modified options. Moreover, patrons can purchase the offered self-lock bags from us at the pocket-friendly rates..
We are the manufacturer of Zip Lock Bag Making Machine. 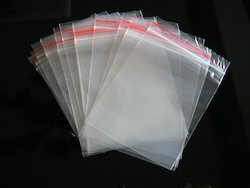 For the diverse requirements of our valued clients, we are involved in manufacturing, trading, exporting and supplying an extensive range of Zip Seal Bag. Provided zip seal bags are processed by our practised workers by consuming most favourable quality material and the latest technology. Known for its high durability, our zip seal bags have gained a lot of appreciation in the market. In line with market norms, we are giving this exclusive range of zip-seal bags to our customers in various customised options and at nominal rates.